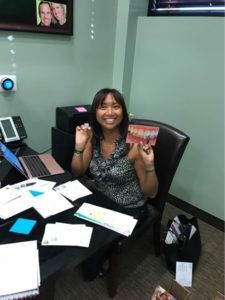 Dr. Mariliza LaCap, owner and founder of Smile More Dentistry and Smile More Kidz in Tappan, NY, is a very busy woman. Managing four practices is a great responsibility — but that doesn’t prevent Dr. LaCap from keeping her patients close to her heart. This week she took the time from being Supermom and best-selling author to sit down and personally send you reminders of the importance of the recare of your pearly whites! Keep reading to learn more from your family dentist in Bergenfield on the importance of six month checkups and cleanings. Have your teeth ever felt extra sensitive after a swim at the pool? That’s no coincidence, although it can take quite a lot of swimming before the effects become noticeable. What is it about the water in swimming pools that damages teeth? Your dentists in Bergenfield, NJ and Tappan, NY are here with more information about chlorine and your tooth enamel. Sensitive Teeth This Summer? Eating Ice Cream Shouldn’t Hurt! Summer is finally here, and boy is it hot out there! It is no coincidence that President Ronald Reagan deemed July National Ice Cream Month back in 1984. There’s nothing more refreshing than a popsicle or ice cream cone on a summer day. Unless, of course, you’re dealing with tooth sensitivity. Comments Off on Sensitive Teeth This Summer? Eating Ice Cream Shouldn’t Hurt! 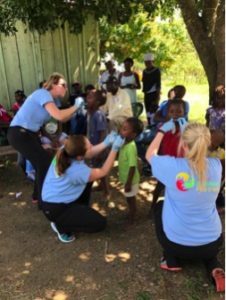 Your Bergen County premiere dental office sets aside the time annually to take a mission trip and give back in a bigger way. You may know that last year, your Bergenfield dentists brought much-needed dental services to Costa Rica! This year, Dr. LaCap, Dr. Tong, Dr. Makiling and members of their smile team will head to the Dominican Republic and Haiti in July. In addition to providing dental and medical care, our team will also provide public education and humanitarian aid. 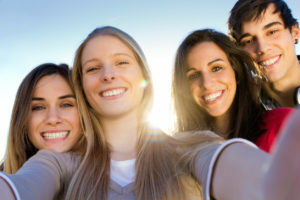 Getting your wisdom teeth removed is such a common procedure these days that it’s almost a rite of passage among teenagers. But why do some of us have to get them out anyway, and why do we even have them in the first place? 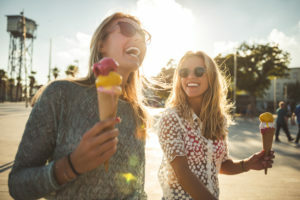 Keep reading to learn how how your wisdom teeth can affect your smile from Washington Dental Associates — your premier dentist in Bergenfield! Since the beginning of the New Year, you resolved to cut out sugar as a way to lose weight and get your health in order. But try as you might, the office donuts every Thursday, the bitter taste of plain black coffee, and the local ice cream shop have all managed to deter you from your goal. And, although you expect this to take a toll on your waistline, did you know that all these sweets can negatively impact your smile, too? 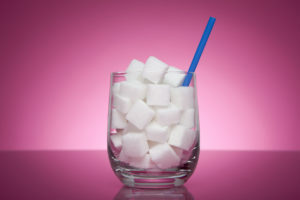 In this post, learn how to prevent the damage that sugar can do to your teeth from Smile More Dentistry, your premier dentist in Tappan. You know the advice – always see your dentist in Tappan at least twice a year. But why? 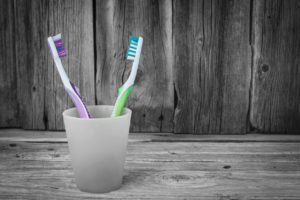 From preventing cavities to detecting oral cancer when it’s easily treatable, the reasons for a biannual visit with the team at Smile More Dentistry abound. Learn the logic behind visiting us every six months is so important from Dr. Darren Tong and Dr. Mariliza LaCap in this post. Did you know our beautiful home state of New York occupies just about 8.5 million people? Imagine how many face-to-face interactions each New Yorker deals with every day. It’s constant when you walk down a busy avenue—panhandlers, sales people, and the casual conversation in a crowd of people waiting for the crosswalk signal to change. Wouldn’t it be embarrassing to speak to each person with foul smelling breath because the bacteria in your mouth hasn’t been properly removed? Or if when you smiled a thin layer of plaque was still visible from earlier that morning. You wouldn’t want to interact with anyone with bad oral hygiene, right? Keep each instance you meet with anyone pleasant with good brushing habits, including changing your toothbrush when it’s appropriate! 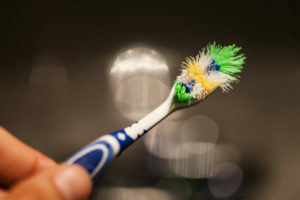 Your Tappan dentist will help you recognize when it’s time to replace your “old faithful” toothbrush. You landed a fantastic new job in Tappan, NY and are so glad you moved into a great area. You’re happily setting up your life here – getting to know your neighbors, finding the best restaurants, selecting the right grocery store – but you’re stumped on how to find the right person to take care of your teeth. How can you find the right dentist in Tappan for you? The team at Smile More Dentistry shows you what to look for in an oral healthcare professional, and illustrates why their practice has everything you need.